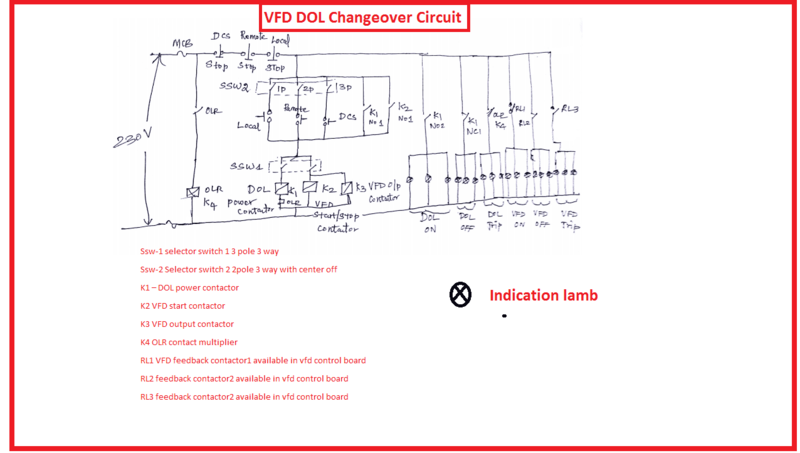 VFD DOL changeover circuit: Due to some reason the starter or vfd of the induction motor got failured means we need an alternative arrangement immediately or We need a good back up in order to avoid breakdown or stoppage in an industry. 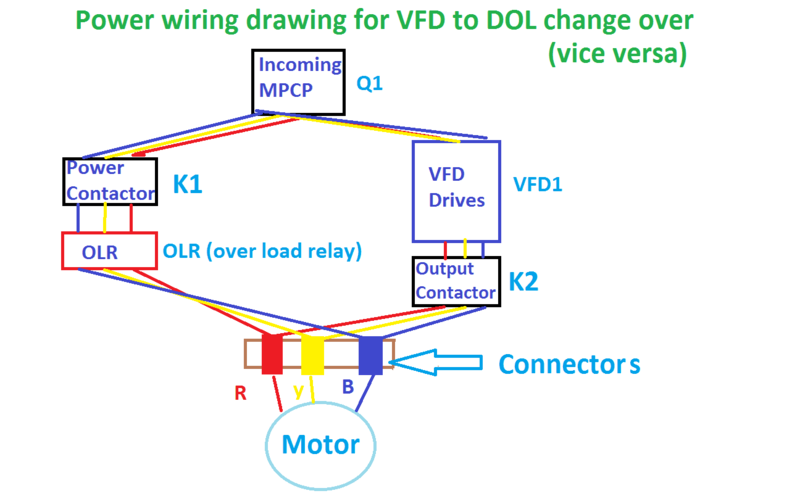 Here we are going to discuss about the circuit diagram of VFD to dol or dol to vfd change over drawing. 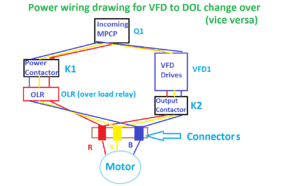 Using This scheme you can run the induction motor with either VFD or DOL. The circuit works as exact alternate for both starting method of the induction motor. 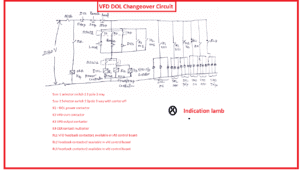 When we have to use VFD DOL changeover circuit? Emergency pumps Ex: Condensate water pump, Boiler DM (demineralized) water pump, firefighting Jacky pump and all emergency pumps. Power cable as per your size. Note: While selecting of MCCB Just purchase the protection of short circuit and over current protection is enough to this application. Earth fault protection is not necessary. 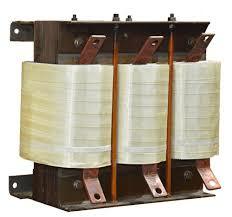 Note: While selecting contactor, make sure its coil voltage range (230V), Frequency (50) and which type of power supply required. 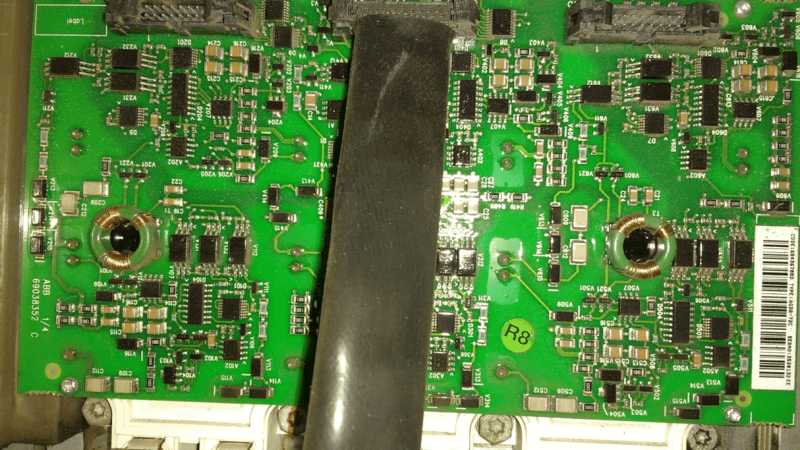 Whenever vfd has got failured means you can start your motor using DOL starter without delaying. you can perform this action by selector switch or DCS or power selector switch. 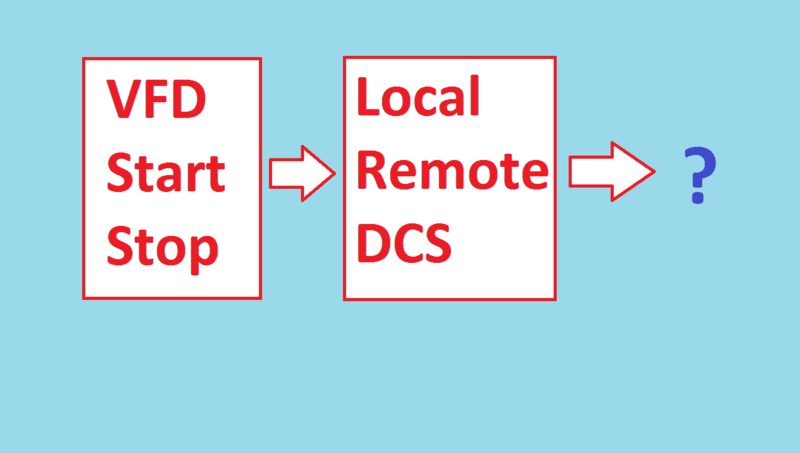 DCS control works from computer’s software like Honeywell or Siemens or ABB etc. DCS method is the most effective method as compared with other method. It does not require any mechanical action and very fast. But only one drawback is you should check the feeder before making change over. Any abnormal condition leads to flash over in inside the feeder. Here we have three start/stop, speed increment/decrement option in vfd like Local, Remote and DCS. 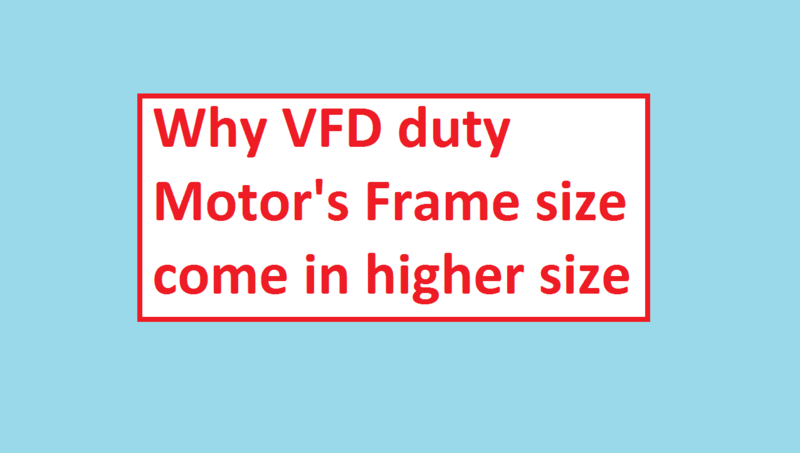 But in DOL we cannot change motor speed it runs at constant speed but we can make start/stop through local remote and DCS. 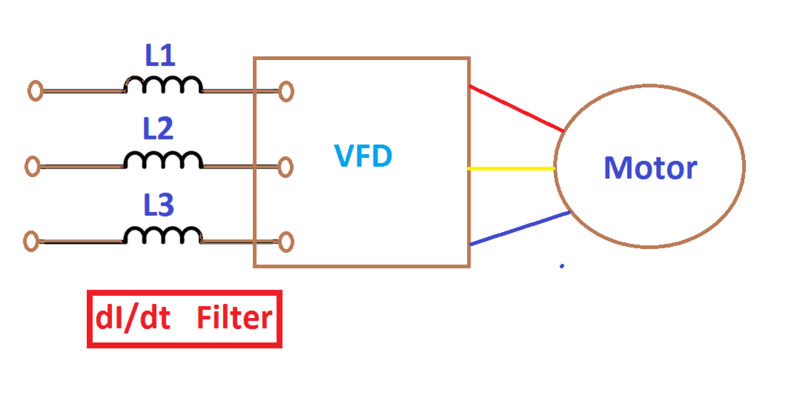 Ex: When You select VFD + Local => Vfd starts from local or panel control pushbutton likewise all the remaining circuit works.